Medium Bronze, clay, steel, stone. As I construct my work I enter a primitive mystery. I hope the feelings evoked by the SPIRITI/GODESS HOUSES will speak to the viewer of the indefinable mystery that has always been a central touchstone for the human animal. My art attempts to explore and evoke wonder and the impulse to worship. Artifacts from the most ancient cave paintings to modem cathedrals suggest, for me, humankind's sense of a force beyond our understanding. This same force creates, though me, this collection of SPIRITI/GODESS HOUSES. - 2003 Bristol-Meyers Squibb, Princeton, NJ. 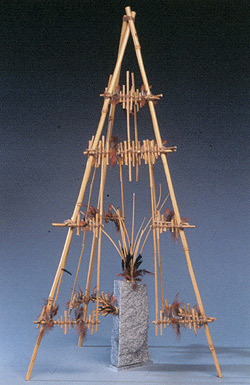 - 2003 The New Mexico Sculpture Guild, juried exhibition, Santa Fe, NM. - 2003 Kapil Jariwala Gallery, London, England. - 2003 Santa Fe Community College, Santa Fe, NM. - 2003 Shidoni Gallery, Tesuque, NM. 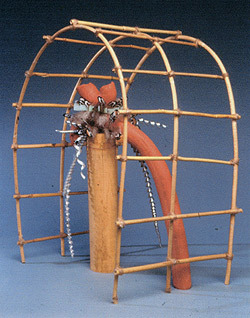 - 2002 Governor's Gallery, Santa Fe, NM. - 2002 Kapil Jariwala Gallery, London, England. - 2002 Santa Fe Community College, Santa Fe, NM. - 2002 Shidoni Gallery, Tesuque, NM. - Grace Hartigan, New York/Baltimore.